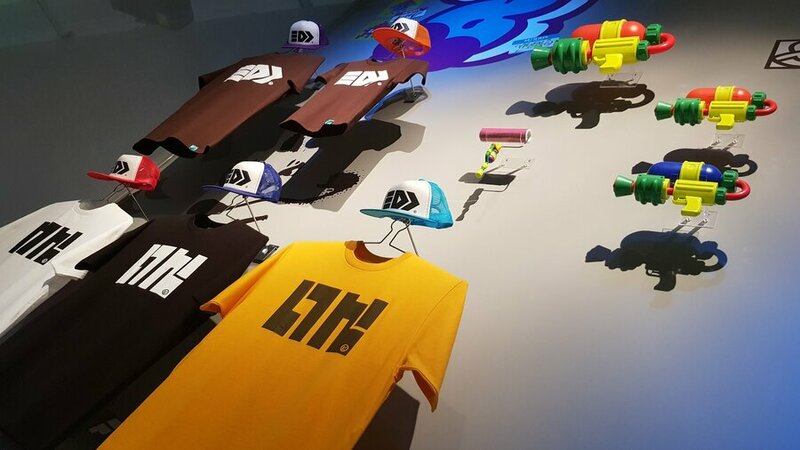 A new exhibition has opened in London, UK, exploring the work and design behind several modern video games including Nintendo’s Splatoon. The exhibition, which has been titled ‘Videogames: Design/Play/Disrupt’, aims to explore the medium of gaming since the mid-2000s, looking into how things such as increased access to broadband, social media, smartphones and more have changed the way that games are designed, discussed and played. It’s currently being held at the Victoria and Albert Museum, and will be available to visit until 24th February 2019. If you’re a mega fan of Splatoon, or if you’ve been a reader of this site for a while, you might already be familiar with some of the content on offer surrounding the franchise at the museum. A video from the exhibition’s curator Marie Foulston shows off the tofu-style prototype that acted as a base template for the game, as well as the early use of rabbit characters which were put in place before the now-famous Inklings had been created. Elsewhere, though, there is still plenty to see in the form of concept art and real-life Splatoon gear. The exhibition also showcases various development assets from the likes of Bloodborne, Kentucky Route Zero, Journey, No Man’s Sky, and more, so there’s plenty of things to see aside from Nintendo’s squid-shooter if you’re interested. Tickets are available right here, priced at £18. Does this sound like a perfect day out for you? Let us know if you’ll be planning a trip with a comment below.